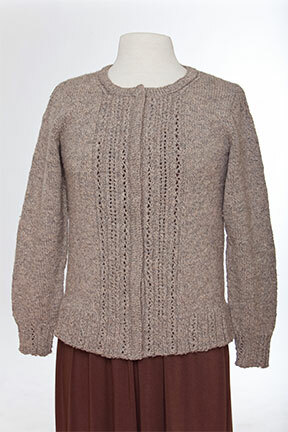 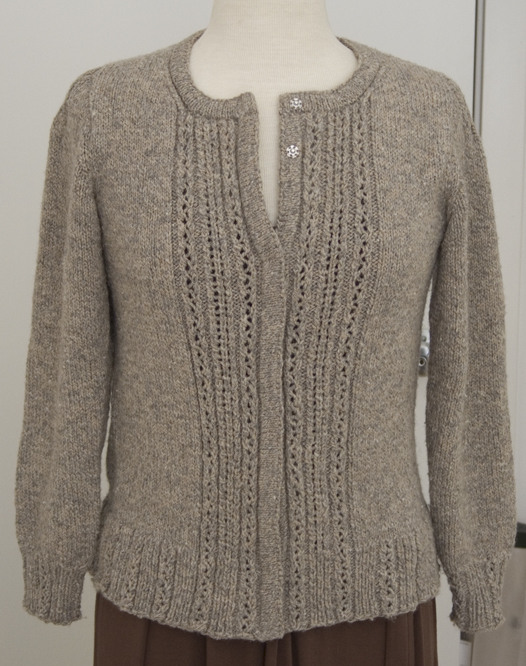 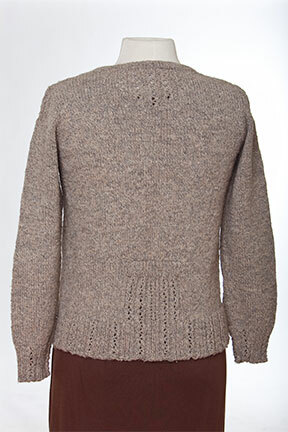 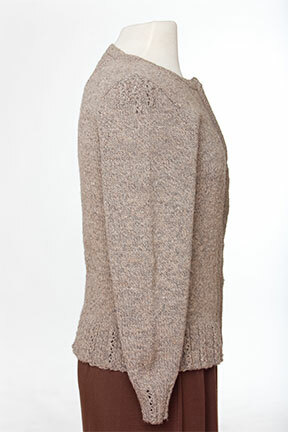 Lace can be lightweight without being delicate, as demonstrated by this intriguing cardigan. 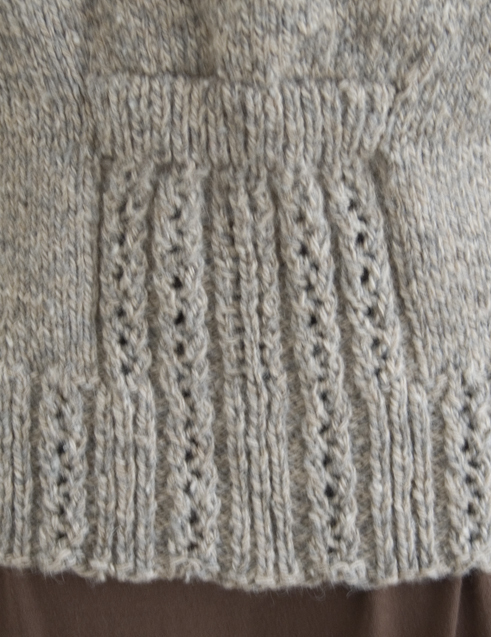 Start at the lacy ribbed bottom trim and knit through eyelet panels that run parallel right up the front. 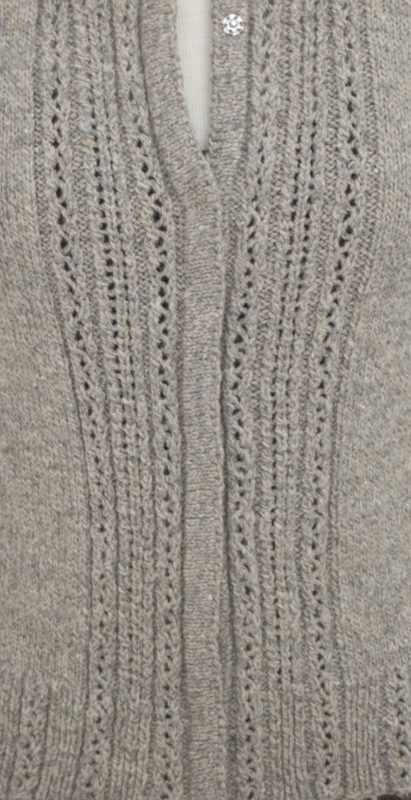 The central back eyelet panel comes to an end at the double-knit back band, but the eyelets are echoed in a appealing panel at the base of the neck and in an eyelet pattern at the cap of the sleeves. 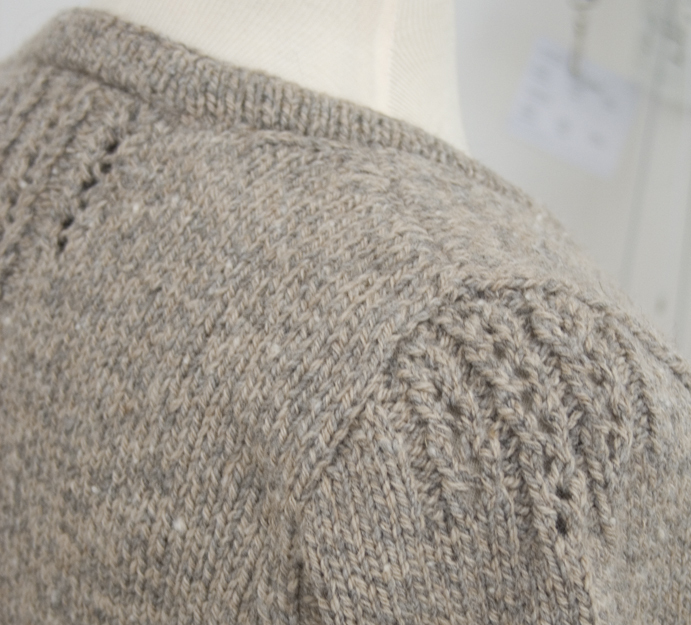 Double-sided front and neckbands and your choice of hidden closures give classic lines to a cardigan with a romantic soul.